This donated 4 day Mule Deer or Whitetail Deer hunt (permit allows hunter to choose in the field the species as opportunity arises) will take place in Custer County Nebraska in the fall of 2019. We base our hunts form the historic national landmark Arrow Hotel (http://arrowhotel.com/) located in Broken Bow where the hunter will have a luxury suite with full kitchen. We will provide a guide, all transportation in the field and all meals while hunting. Our hunts take place on over 40,000 all game managed private acres in the scenic Sandhill region near the Loup River drainages offering outstanding hunting. We have property in both Loup West and Buffalo Units which have boasted an 85% plus overall success rate in the last few years. We hunt from stands, blinds and do some spot and stalk although the heavy wooded cedar canyons make this impossible in many places. We have had 100% shooting success for many seasons and anticipate similar results in 2019. 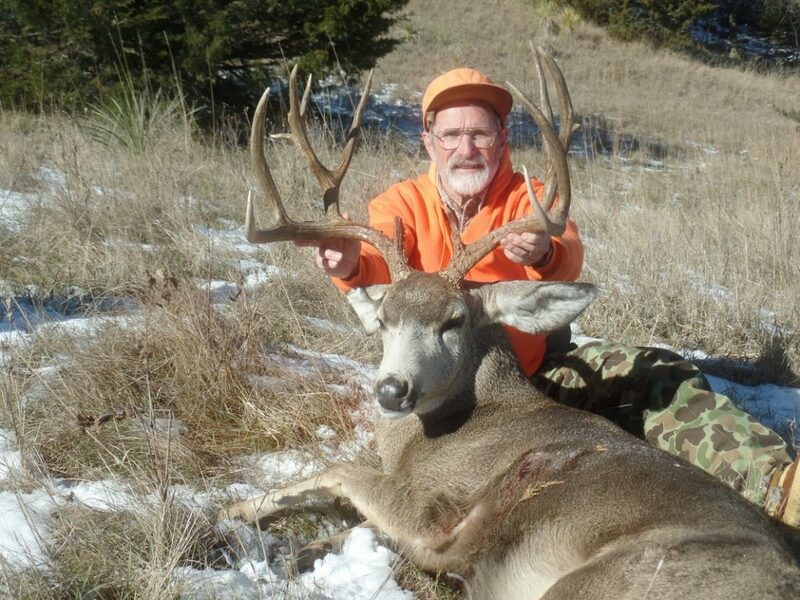 The archery hunt can be taken with cross or long bows during the peak rut (archery season begins on September 15th and runs through December 31st) and the Black Powder season begins December 1st and runs through he end of the month. Both season have yielded outstanding trophies!! We have been full time guides for decades and can provide many, many references call or email anytime.